Watch full One Piece Season 15 Episode 46 English Dubbed full HD online. One Piece Episode 562 English Dubbed online for free in HD. Luffy Loses the Fight?! Hordy’s Long Awaited Revenge! Vander Decken IX finally loses consciousness and the massive ship Noah starts to fall back slowly onto the fishman island. Fukaboshi distracts Hordy while Luffy and the mermaid princess try to get on the falling ship. Meanwhile, on Fukaboshi’s instructions, the palace guards start trying to cover Noah with a bubble of air to help Luffy fight Hordy. Fukaboshi gets defeated but manages to learn Hordy’s true identity beforehand. 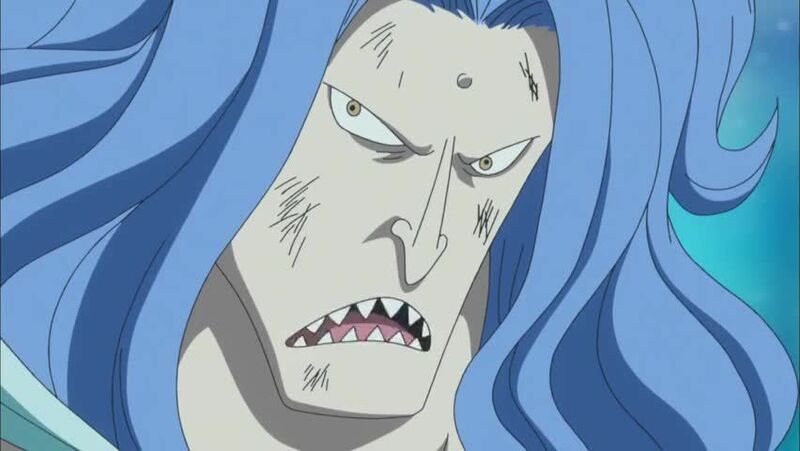 Hordy, to fight Luffy, eats more energy steroids and powers up even more.